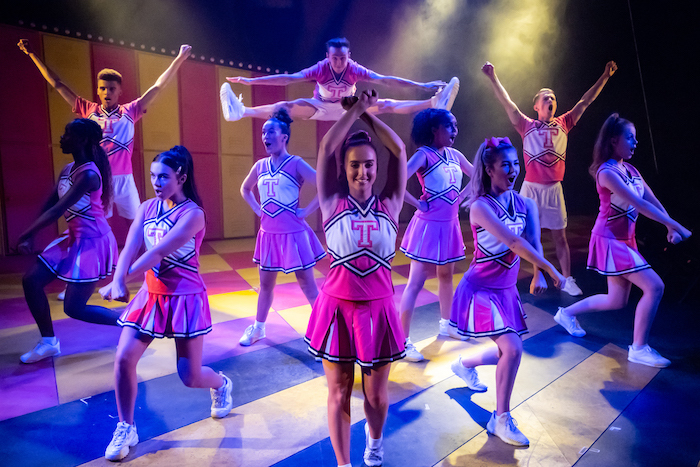 There’s an explosion of spirit and – yes – “cheer face” at Southwark Playhouse, hosting the long-awaited UK premiere of this 2011 musical; last year’s planned national tour was sadly postponed. But Ewan Jones’s dynamic British Theatre Academy production, with its minimal scenery and tight ensemble perfectly filling a midsize space, suggests it’s the ideal piece to go on the road – not to mention its timely, uplifting message of inclusion. This entry was posted in Dance, Journalism, Theatre and tagged book tickets, bring it on, british theatre academy, broadwayworld, cheerleader, cheerleading, family, kids, lin-manuel miranda, london, musical, review, southwark playhouse, summer, theatre, visit london. Bookmark the permalink.